First Thursday’s Friends & Family JAM! It’s back to First Thursdays for Friends and Family Acoustic Jam Awareness! Come meet new people, musicians, and take a peek at the local acoustic up and coming original songwriting warriors representing Arizona. 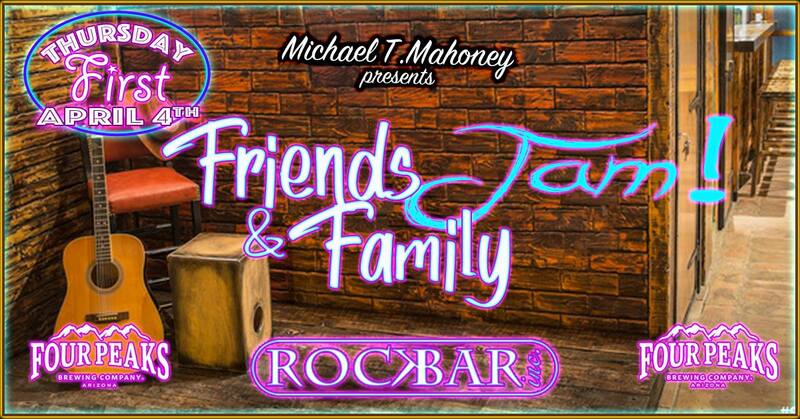 It’s free and it’s sponsored by Four Peaks Brewing Co. and presented by Michael T Mahoney. MUSIC 9pm ––>> NO Cover!! Come early and enjoy our Four Peaks Beer Specials! !